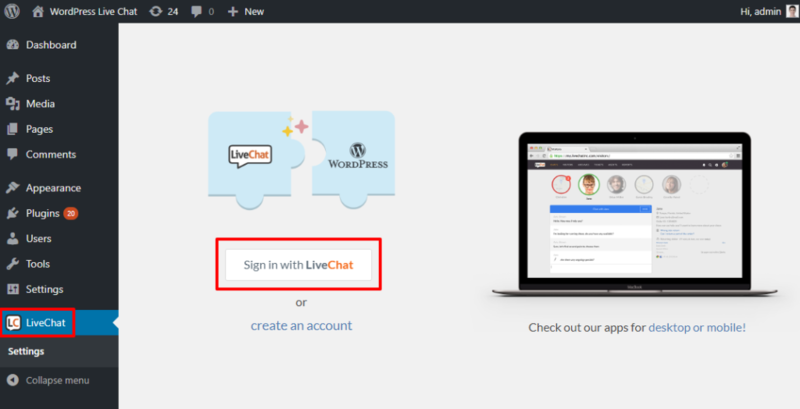 Searching for an easy way to add WordPress live chat functionality to your site? 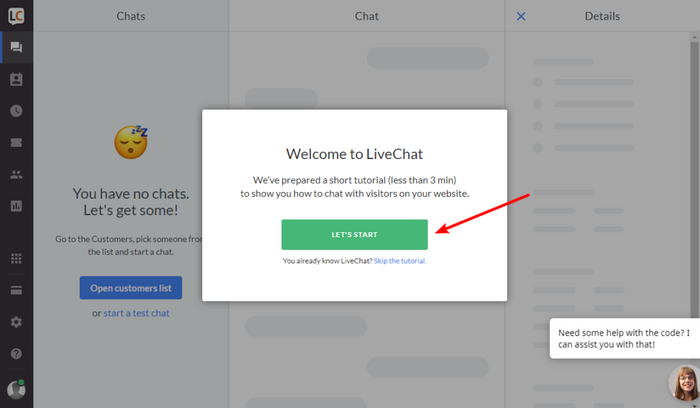 While there are plenty of quality live chat plugins, live chat is a bit tricky because, unlike most WordPress plugins, you’re going to spend a ton of time in the plugin’s interface while chatting with customers. The upshot is that you need to pick a WordPress live chat solution that’s not just easy to set up, but also gives you a solid set of tools to manage conversations with your customers. Otherwise, you’re going to struggle to stay on top of all your different conversations. In order to get you that functionality, we chose to use a premium solution for that tutorial. But while it is a premium tool, you can get a 30-day free trial with no credit card required, so you’ll be able to follow this tutorial without spending a dime. We’ll also share a tutorial for a 100% free live chat tool at the end of this post, though it’s a bit more limited. In this section, we’ll show you step-by-step how to WordPress live chat functionality to your site. Even if you’re a non-technical user, you should have no problem following along. As we promised, you won’t have to look at a single line of code to get this done! To get started, install the “LiveChat – WP live chat plugin for WordPress” plugin from WordPress.org. If you’re not sure how to install a WordPress plugin, check out this tutorial. To manage most aspects of your WordPress live chat functionality, you’ll use the LiveChat website interface. There’s a lot going on, but the tool gives you a pretty detailed welcome wizard that will take you through the most import aspects of the interface. 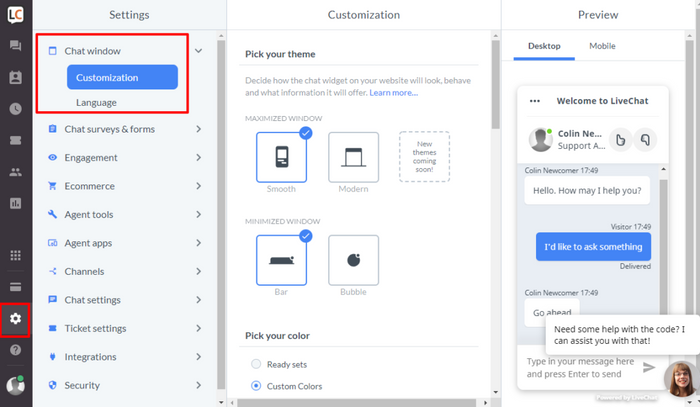 While you might be tempted to skip it, we really recommend that you go through the setup wizard as it will point out a lot of important features. Once you finish out the welcome tutorial, you should be ready to start chatting away with your visitors. The only thing you still might want to do is customize how the live chat box looks on your site. 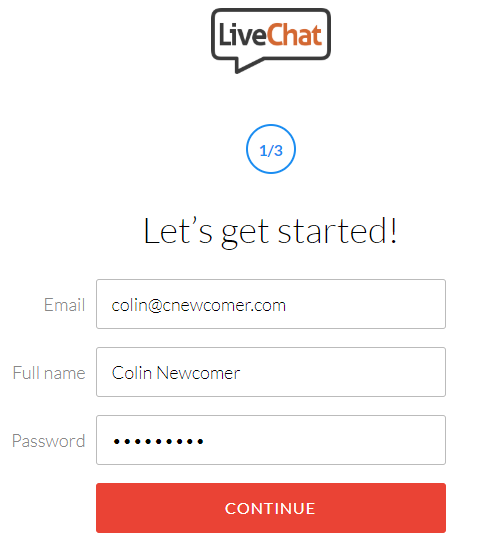 To do that, you’ll also use the LiveChat website. You might want to poke around the rest of the settings to see what all you can do. 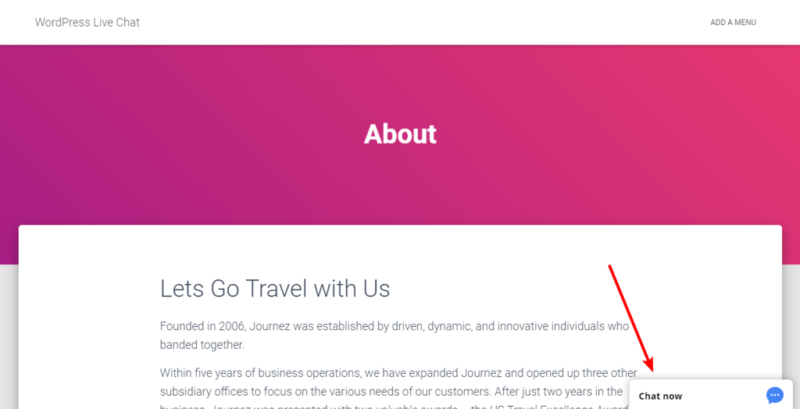 For example, the Engagement area lets you set up automatic greetings for your visitors. And the Chat settings area lets you change how the chat box looks for certain pages (or just completely disable it for certain pages). 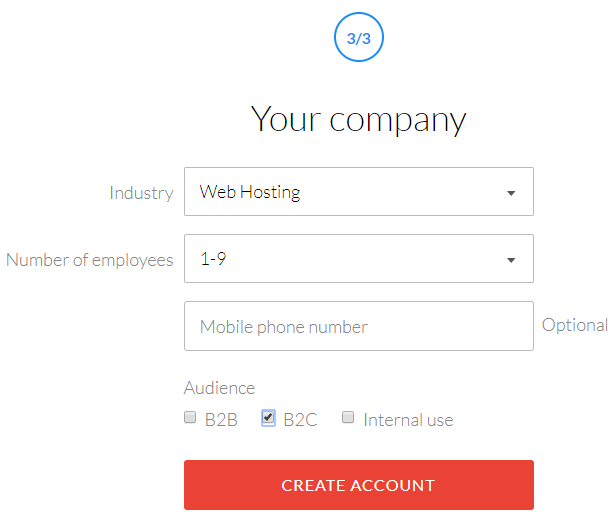 At this point, you should be ready to start chatting with your visitors. You can either use the web interface that you saw in the tutorial from Step 4. 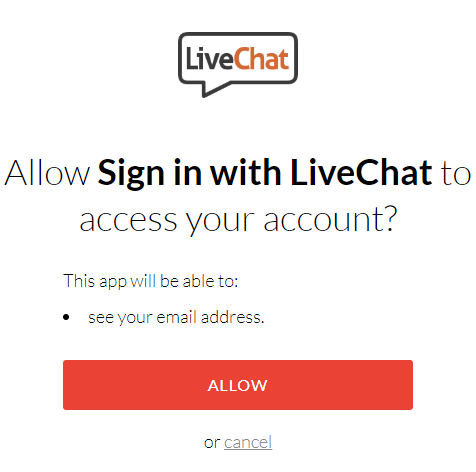 Or, you can consider using one of LiveChat’s mobile or desktop apps. If you want to continue using LiveChat after your 30-day free trial expires, the ongoing paid plans start at $16 per month. You’ll get a 30% discount on your first payment when you use this link, though. 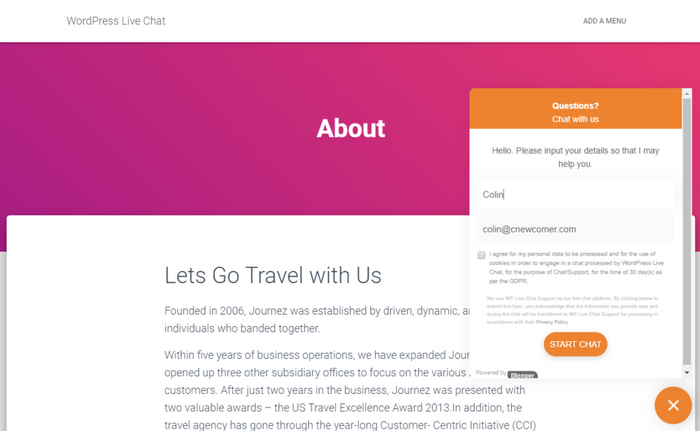 LiveChat is great for its simplicity and the fact that it gives you so many tools to chat with your visitors, but we understand that you might be on a budget. 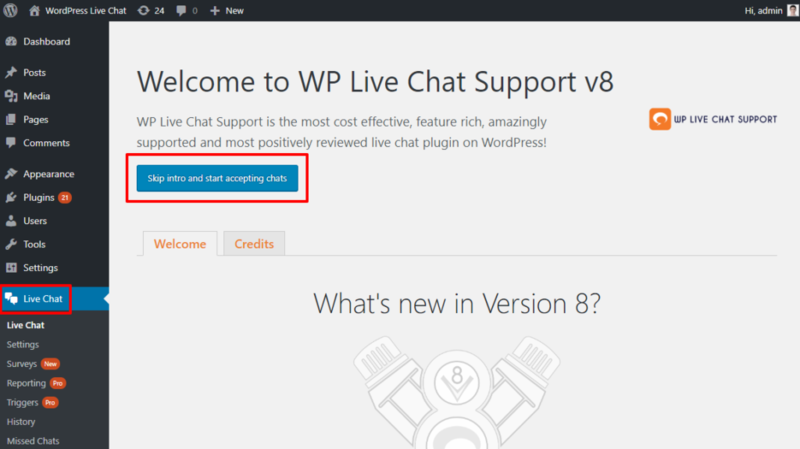 If you’re OK with only being able to chat with visitors from your WordPress dashboard, there’s also a free plugin called WP Live Chat Support that can help you add live chat in WordPress. 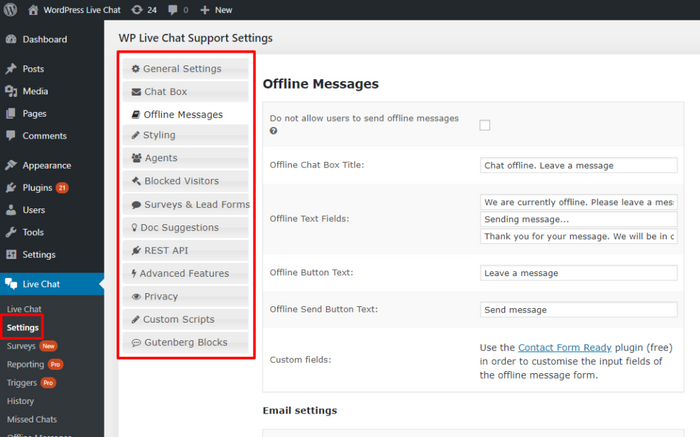 Here’s a rapid-fire tutorial on how to add WordPress live chat functionality with this plugin. First, you’ll obviously need to install and activate the plugin. 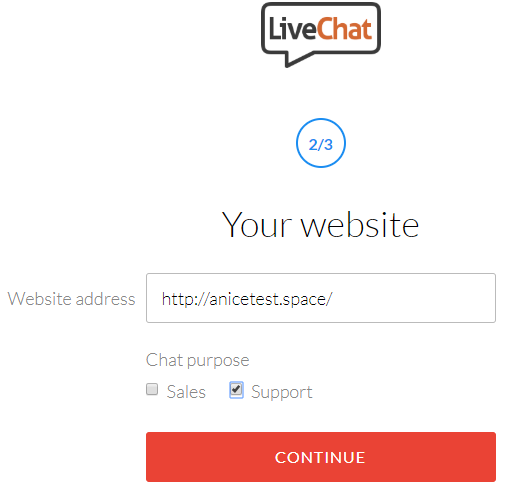 That wraps up our guide on how to add live chat functionality to your WordPress site. If you’re looking for the most flexible live chat system, LiveChat gives you a range of ways to interact with your visitors, as well as an easy setup process – you’ll just need to pay after the 30-day free trial. 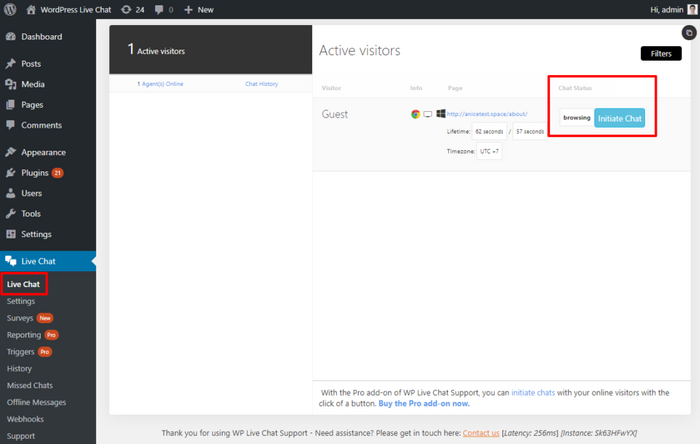 On the other hand, if you’re looking for a 100% free solution, WP Live Chat Support still offers a pretty easy setup process, it’s just not as flexible in the free version when it comes to how you can chat with visitors. Do you have any other questions about how to get started with live chat on your WordPress site? Let us know in the comments!